Big Bad Voodoo Daddy, the incomparable kings of swing, announce an all new album, Louie! Louie! Louie! 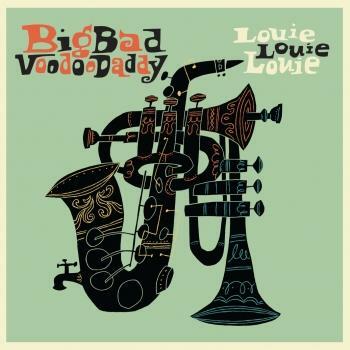 an electrifying celebration of jazz legends Louie Armstrong, Louie Jordan and Louie Prima. On their eleventh album and third for iconic label Savoy Jazz, the band is sharper than ever as they pay homage to their jazz heroes. Produced by founder and lead singer Scotty Morris, the album reveals the evolution of swing, jazz and popular music through the songs and personalities of these three giants of American culture. “We really want people to know about these great artists that have so deeply influenced us, and perhaps help spark a new creative interest in them and their music. It's important to educate people about this — if someone doesn't continue to spread the word, it's going to go away and that's something we can't afford to have happen,” says bandleader, vocalist and songwriter, Scotty Morris. 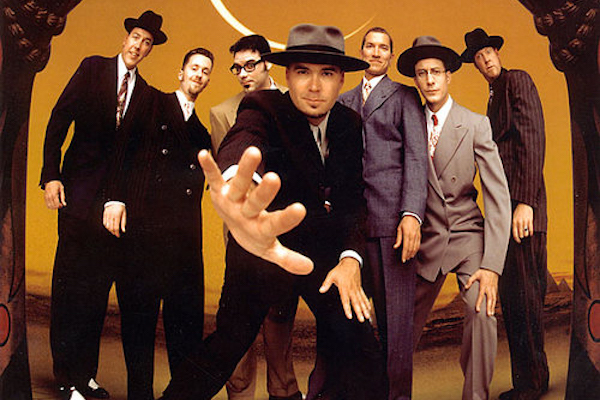 Forming in the early nineties and at the forefront of swing revival during midst of the grunge era, Big Bad Voodoo Daddy blended a vibrant fusion of the classic American sounds of jazz, swing and dixieland, with the energy and spirit of contemporary culture. Taking inspiration from the creators of this uniquely American art form, the band’s original horn-infused music and legendary high energy show introduces the genre to a new and younger generation while remaining cognizant and respectful of the music’s rich legacy. After 23 years, 10 records, over 2700 live shows, and countless appearances in film and television, Big Bad Voodoo Daddy is showing no signs of slowing down, and is looking forward to celebrating its 25th anniversary in 2018.